. Published on January 29, 2019. So, you’ve decided you want a VoIP phone service. Maybe you’re in Vancouver, starting out with your own small business. Maybe you just want another number to use when arranging rare coin sales over eBay from your home in Ontario. Maybe you work for an office in St. John’s, and your boss decided to get rid of your old, dusty landlines. 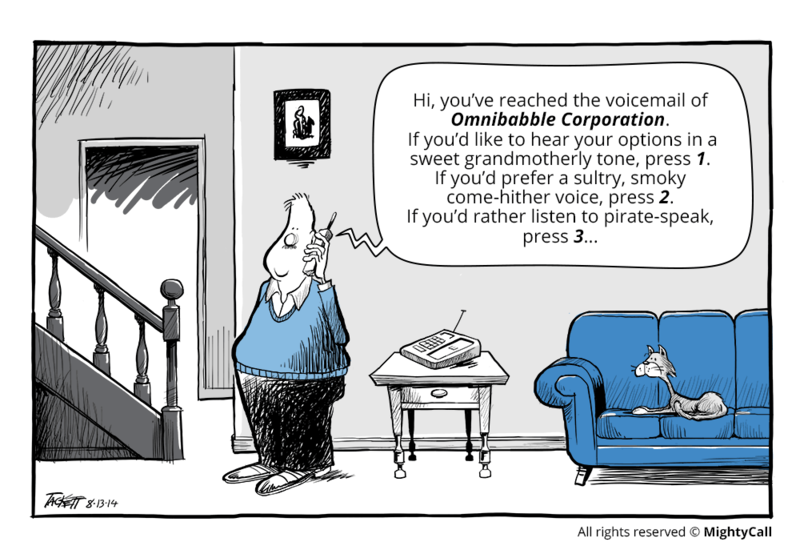 Either way, now you have to find a good, trustworthy, and effective VoIP service. Whether you’re looking for a reasonable price range, ease-of-use, or other options, you’ll soon find that there are many possible companies to pick from. 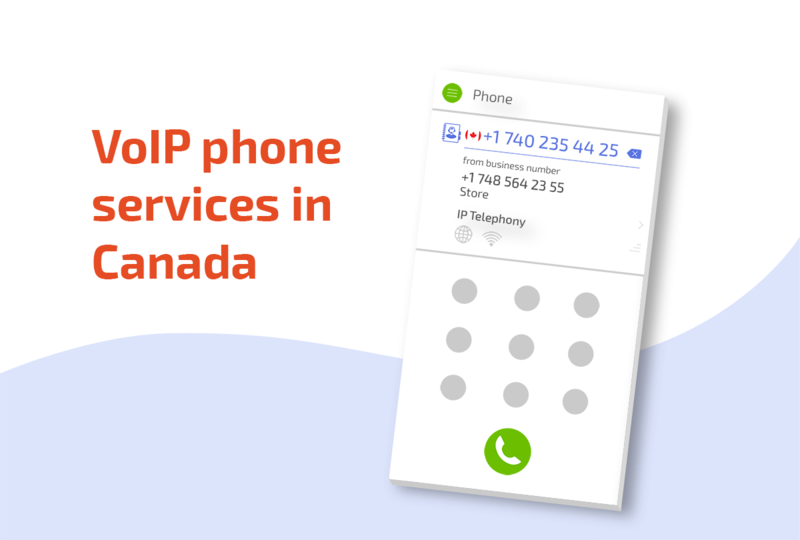 Here, we’ll be comparing and contrasting some of the big VoIP providers in Canada so that you can get the best deal for yourself and your business. RingCentral is generally well-respected and offers, at first glance, three relatively cheap plans. However, costs depend on how many users you have; in reality, RingCentral has closer to 14 plans, and if your user number goes up or down, you may end up being bumped into a different plan without realizing it. They also encourage annual billing, something that may not be the easiest for small businesses. Like other VoIP companies of its size, RingCentral includes services like Call Recording, Call Routing, Auto Receptionist, and Voicemail to Email. However, some of these are only accessible if you’re willing to shell out more cash. RingCentral does not necessarily come with any hardware, though they can at times try to push it on their customers. What makes Grasshopper unique among other competitors is that they technically aren’t a VoIP company. Instead, they’re a PSTN company, which stands for Public-Switched Telephone Network. This means that they used established phone lines, which is a plus in regard to call quality and reliability (after all, this means they don’t necessarily rely on wifi connectivity). However, this also limits some of what Grasshopper can offer. Unlike RingCentral, Grasshopper’s pricing is a bit more clear-cut. They have three plans, and all are easy to understand. However, the service is a bit on the pricier side, and in comparison to companies like MightyCall, you’ll get less bang for your buck. Eighty dollars will get you only 5 numbers- and that, as their largest category, is called their “Small Business” plan. Like RingCentral, Grasshopper tries to push customers into paying annually. That 80 dollar price? That’s their annual price. It’s even higher when you pay monthly, as most people would. Plus, as of this writing, they have no area codes available for at least four provinces, which is not exactly optimal for anyone who wants to do business there. The first company on our list to be Canadian-owned, Versature is sure to attract those of the “Canada First” variety. They offer Canadian-based service and custom CRM and API integration, which can be an incredible boon for some businesses. However, it has some major drawbacks that may take away from those pluses. For one, Versature requires users to use Polycom phones, which they attempt to make up for by offering free with 3 or 5 year contracts. That in itself is another disadvantage: the minimum contract is 3 years, with penalties for customers who wish to leave early. So while the price of their highest plan is only 45 dollars, the drawbacks are significant. Telehop, like Versature, is a Canadian-focused service. They have many of the standard features, such as voicemail and blocking certain numbers. However, to get some pretty important features—like auto attendant—are not available on their lowest priced plans. Their pricing plans are also relatively complex and not straightforward; while they claim to have three basic levels, in reality you’ll have to talk to a salesperson to get an exact quote. Likewise, their pricing system for international numbers leaves something to be desired, as it is confusingly multi-tiered with no real explanation as to why certain countries are more expensive than others (Austria and Italy, two countries which share a large border, are in different price ranges- as is “United States Algeria”, whatever that means). Finally, we get to MightyCall. MightyCall has almost all of the positives of the aforementioned companies, with none of the negatives. Unlike some, MightyCall requires absolutely no software, and their salespeople won’t try to push it on you. We also offer incredibly flexible pricing and three simple plans, all of which include 30-day refunds and are on a month-to-month basis. MightyCall also offers toll-free and local Canadian numbers. Unlike all of the other companies listed, MightyCall also offers unlimited minutes for their Standard and Ultimate plans. Going with the unlimited theme, unlike Telehop and some of the other services mentioned, all MightyCall plans include unlimited extensions, auto attendant, visual voicemail, call queues and more!